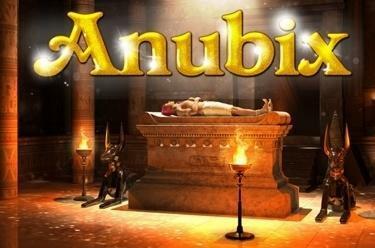 Play Anubix online for free now! 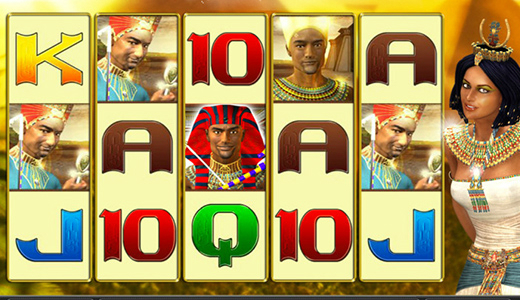 Once he was the guardian of the dead, but now he watches over your Twists - explore the tombs of the great kings, find the god of the dead and fetch the gold of the pharaohs for your player account. Once you put the relics in the correct order on 5 reels and 5 lines, you will be rewarded - the most precious artifact is your key to the bonus game in which the soul keeper doubles your winnings! Your aim is to land 5 matching symbols along a win line. Winning combinations start on the first reel on the left and run along an active win line to the last reel on the right in the regular game. All symbols in a winning combination must lie next to each other on an active win line without any other symbols coming between them. 3 Scatter symbols from left to right trigger 5 to 18 Free Games. 3 Scatter symbols from left to right trigger 5 to 18 Free Games. The amount of Free Games you win is decided by the game selection at the start of the feature. The normal bet used when you triggered the feature is used in the Free Spins. If the soul keeper appears on the third reel when you have landed a winning combination, your win is doubled.